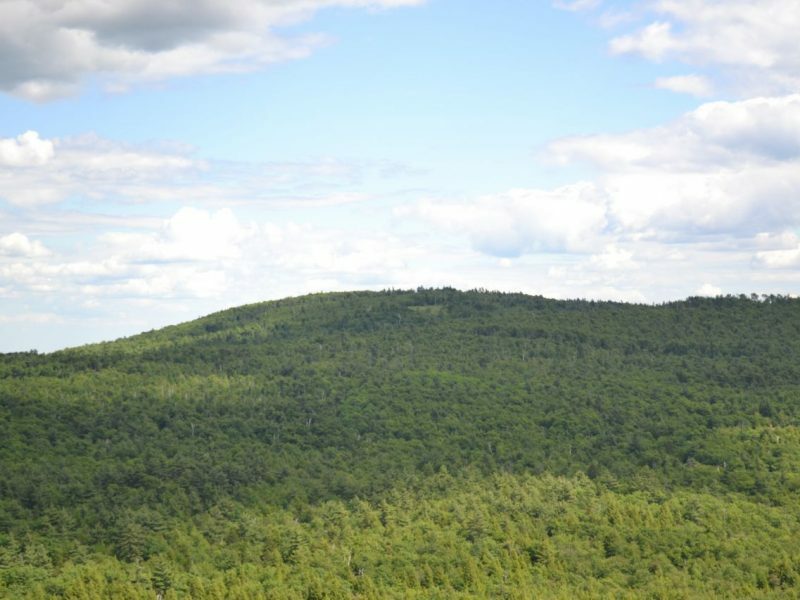 Temple Mountain’s southern summit, Burton Peak, features a fine directional view of Mt. 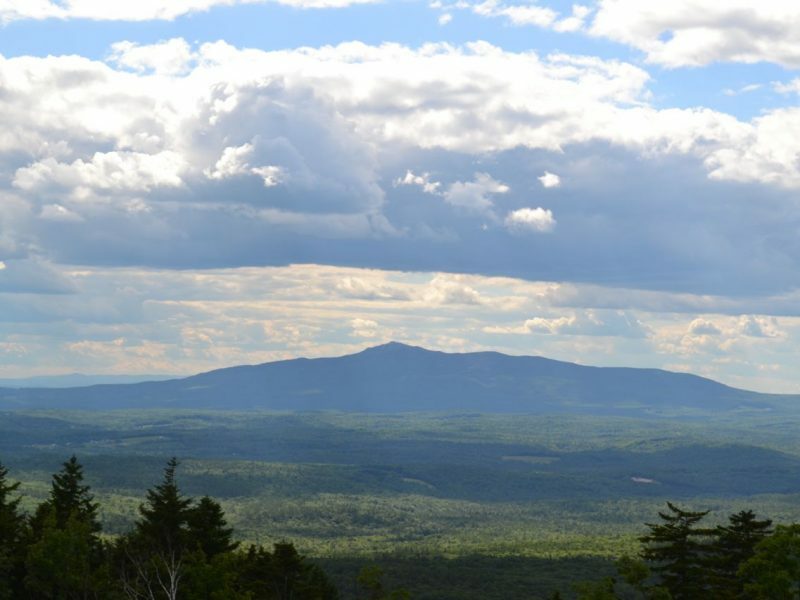 Monadnock. 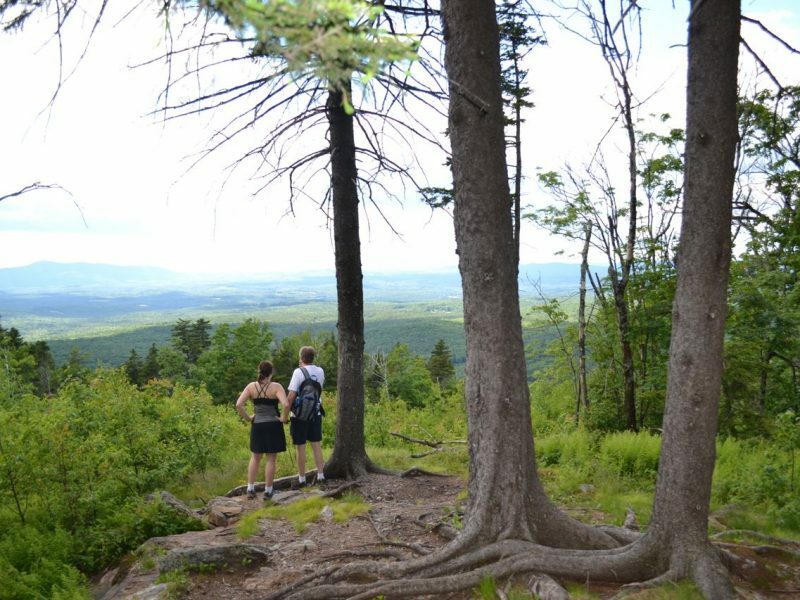 To access Burton Peak, you must hike a portion of the popular 21.9-mile Wapack Trail. 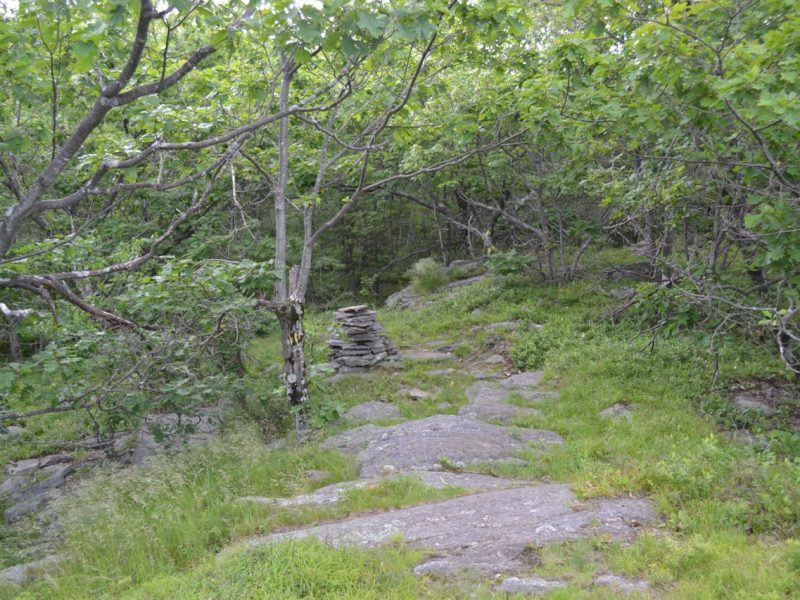 From the parking area, cross the road and start hiking on the Wapack Trail (This section of the Wapack is also called Cabot Skyline Trail). The trail starts out fairly steep, but soon levels off in 0.4 miles. 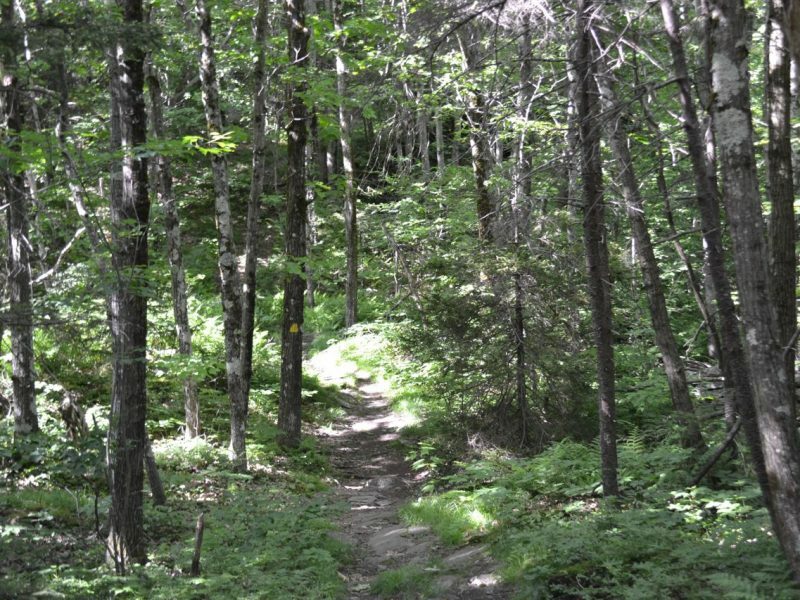 After the crest of the ridge, the trail passes the Sharon Ledges from a distance. The first viewpoint on these ledges is found at a spur path on the right with a sign for Roger Myrick Outlook and provides views of nearby Kidder Mountain. In 0.1 miles, another spur leads to more ledges. 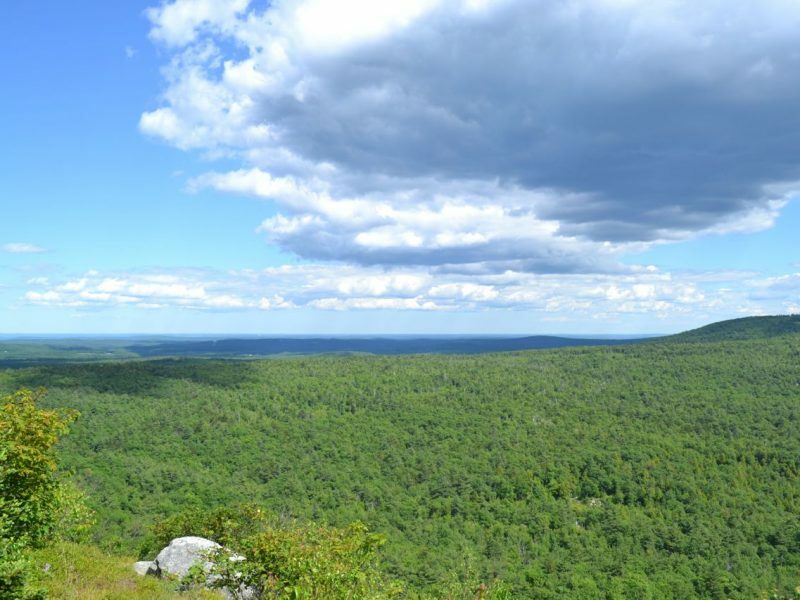 At the end of the Sharon Ledges, the trail passes a limited viewpoint at a rocky area. 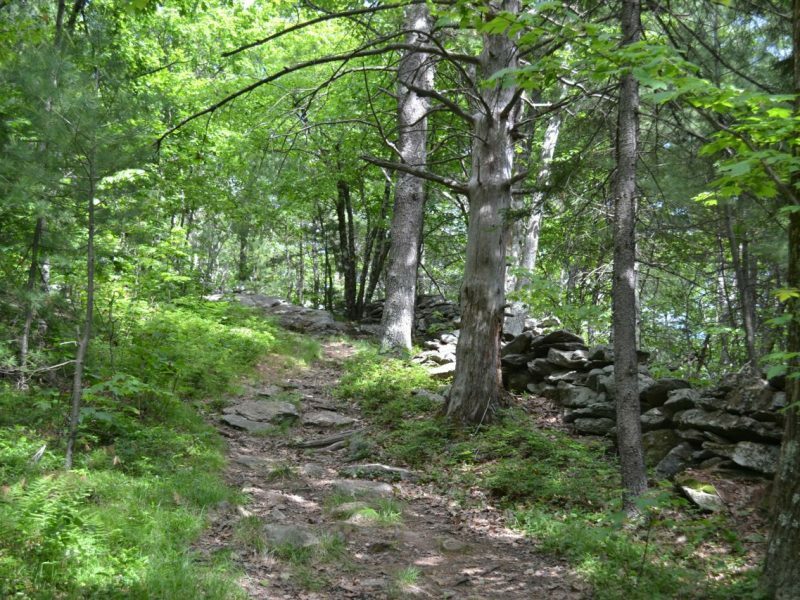 This is a really neat section of the Wapack Trail, as there are awesome southwestern views all the way to Boston! Drive 0.3 miles down Greenleaf Road and turn left onto Temple Road. Look for a small parking area on the left just after.